As we turn the corner to 2018, the evolution of video marketing isn’t slowing down. 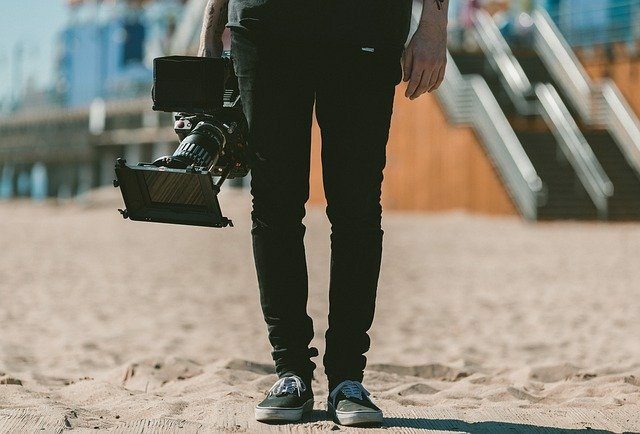 In fact, with one more year of technological innovation and creativity behind the camera, the world is in for more captivating video content over the next year. From virtual reality to live streaming, marketers are going immersive. Consumers can step into both the real-world views and fantastical experiences that brands are creating like they have never been able to before. With these boundary-dissolving video marketing trends, the way businesses produce and consumers consume is going to change significantly over the next year. Ready to find out what we have in store? A powerful technique used in experiential marketing, with video projection mapping, a video is projected onto a 3D surface. Think 2-dimensionally and use the side of a building. Think outside of the box, and projection mapping, also known as spatial augmented reality, and any 3D object or objects become the animated surface. Part of the appeal of this innovation is the dramatic effect, especially when large surfaces are used, as well as the playful possibilities of bringing to life different real life objects. Projection mapping is being used in product launches, opening events, industry conferences and anywhere brands want to enthrall a captive audience. Here’s a taste of projection mapping by Coca Cola. With tools like Facebook Live and a range of streaming apps like BeLive and Zoom for beginners and OBS Studio and Wirecast for more seasoned videographers, live streaming is 100 percent accessible for every type of marketer. An excellent way to connect with customers and to express the more human side of a brand, this marketing platform is used for interviews, Q&A’s, behind-the-scenes video content and live events. That’s what has been done. In 2018, the trend is expected to get even more intense and more interactive. Take for example, Amstel Radler‘s live video, the first consumer-led streaming on Facebook Live. In this immersive video experience, viewers controlled the content, clicking on the ‘like’ or ‘love’ icons to decide which actions would be carried out. This live video event got a little out of control, in a good way for the Spanish brewery. Virtual reality is still largely unchartered territory. Still, some strides have been made by a few global brands like Heineken and Tesco. These companies have the deep marketing budgets to include VR video experiments within their strategy. With VR, in order to reach customers, marketers have to convince their audience to put on a pair of glasses in order to step into the projected environment in the first place. While this may involve more motivation on the part of consumers than having to glance at an ad in the real or digital world, the impact of buying into a brand’s own version of VR may end up being profound. With limited examples today, it’s hard to predict the effect of VR on marketing goals. But, with the high-tech direction that video marketing is going in, by the end of 2018 our understanding of how effective the medium is will probably have expanded, a lot. Digital marketing thought leader Neil Patel predicts some intriguing possibilities for the future. Instead of watching a video of the latest heart-stopping action shared by a brand like Red Bull, who is known for pushing the limits of the extreme lifestyle to connect with its target buyers, we’ll be stepping into the experience of skydiving, dirt racing, or snowboards with a VR headset. Patel also suggests VR video being used for eCommerce, allowing consumers to become a part of an environment to engage with a product they are thinking about purchasing. With the biggest tech companies in the world investing billions into the VR race, he may be right on for 2018. 360 video has been catching on in 2017 and will likely be full blown in 2018. Another type of immersive technology, with 360 degree video content, the consumer can control their perspective when viewing. This can be with a VR headset or simply with a computer or smartphone screen’s browser control. 360 has obvious implications for online shopping. But, it can be used in any way marketers can apply it to their brand, like this 360 video for the Honda Civic. It’s hard to click away from a video that you are a part of, especially this one. Google has already run its own test run with 360 and found that it isn’t as readily viewed as standard video content. But, when it is viewed, the click-through rates are higher. 360 also garnered more views, shares and subscribers. Allowing for a first person viewing experience, 360 degree videos are likely to become an important tool for engagement in 2018. How Important Will Video Be for Marketers in 2018? Right now, the typical organization publishes 18 videos per month, on average. That used to be the standard blog publishing schedule! Now, not only is visual content just as much a part of consumers’ daily lives as voice activated home appliances and meal kit delivery, but it continues to become even more interesting in order to capture people’s attention. The last few years have been about skyrocketing video numbers. We are up to a collective one billion hours a day of YouTube viewing. But in the next couple years, the pressure is on in-house video marketing teams (85 percent of businesses now have in-house staff and marketing resources) and video production agencies to adopt new technology and integrate new trends quickly to offer more worthwhile video content. In 2018, consumers won’t just want to watch. They’re ready to jump through the screen – or into the 3D projection. It will be fascinating to see where the creative minds in marketing take video in 2018 with the unprecedented combination of new technology and the rapid consumer acceptance of boundary pushing trends. Those brands that jump into the future right now are going to have a lot more to offer their customers. Such an interesting article. I heard Gary V speak about voice search and podcasts are going to be the big thing in the next few years.